James Meadows Rendel was born on 16 May 1915 in England. His family background was intellectual. Although his father, Colonel Richard Meadows Rendel, was a professional soldier, there were connections to the Bloomsbury group on both sides: his father’s uncle was Lytton Strachey, and his mother’s sister was the diarist Frances Partridge. Rendel’s first marriage, on 22 October 1938, was to the poet Joan Adeney Easdale, a protÃ©gÃ©e of Leonard and Virginia Woolf who published some of her poems in their Hogarth Press. Friends included Professor Lionel Penrose the human geneticist (whose brother was a champion of cubism and cubists in England) and the Mitchison clan. As a student, Rendel played the flute, was fascinated by ballet and kept a chameleon. He received part of the normal education of an upper-middle-class Englishman of his time (Rugby School), but went to University College London rather than Oxbridge and completed his PhD as a student of JBS Haldane, the great geneticist and left-wing science populariser. During the Second World War, when Rendel was attached to RAF Coastal Command, he took part in Haldane’s experiments on escape from submarines (critical after a peace-time disaster). Haldane never spared himself as a guinea-pig, and those of his colleagues with as much courage took the same risks. One experiment involving a high compression chamber was disastrous and almost fatal for Rendel, as both of his lungs were punctured and he was left with permanent pulmonary problems. After the war, Rendel moved to Edinburgh to join the legendary animal genetics research group put together in the University of Edinburgh by CH Waddington. Waddington was a man of very broad interests to whom art and travel and the company of congenial intellectuals were hugely important. As a result he never had time to supervise his staff closely, and by appointing those whom he knew and trusted from his wartime work, as well as brilliant young people in related fields, he created a scientific powerhouse in the Institute of Animal Genetics. At Edinburgh, Jim Rendel and Alan Robertson were put in charge of a dairy research program, and together they made several vital advances in the design and analysis of dairy breeding programs, establishing principles that laid the foundation for the widespread use of artificial insemination in dairy progeny testing programs. Later, Rendel implemented these ideas in CSIRO’s tropical dairy breeding initiative. Rendel was then recruited from Edinburgh in 1951 by Sir Ian Clunies Ross, Chairman of CSIRO, to set up a CSIRO group at the University of Sydney to teach animal genetics in both the Science and Veterinary Science Faculties and to develop and supervise a program of research into animal breeding methods encompassing the domestic fowl, sheep, dairy and beef cattle. 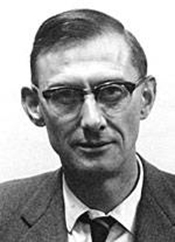 As the Animal Genetics Section grew in size and responsibilities it was made an independent Division of Animal Genetics, in 1959 with Rendel as its Foundation Chief. Rendel’s primary interest was in how genes worked in the animal. In his first year in Australia, he joined with a number of other geneticists to found the Genetics Society of Australia. He set up groups in the Section of Animal Genetics to study the fundamentals of genetics, using mice, Drosophila and Paramecium as experimental organisms. In the 1960s, he realised the future impact that molecular genetics must have in animal improvement, and set out to establish molecular biology in the Division. This group later was spun off as CSIRO’s Molecular and Cellular Biology Unit. He had a particular personal interest in the genetics of developmental processes in the whole animal and wrote about novel ideas on developmental ‘canalisation’, discussed in detail in his only published book, Canalisation and Gene Control. the formulation with Alan Robertson (while at Edinburgh) of a set of protocols for dairy improvement based on progeny testing and the widespread use of artificial insemination. This work was seminal in the design and analysis of dairy breeding programs, especially in Europe, and their methodologies were in many ways superior to those being developed at the same time by Hazel and Lush in the USA. Their work led to a decline in the use of testing stations and the widespread use of family selection in selecting dairy bulls. the application of genetics to animal breeding, including the development of new breeding programs, especially for northern Australia for both beef cattle and dairy cattle. the practical application of canalisation theory to decrease the inter-egg interval in layers made, through Bruce Sheldon, a major contribution to the egg industry before that industry closed genetics research in favour of importing germplasm. We have already mentioned some of the people who influence Rendel in his research directions, in particular Haldane and Waddington. Haldane and his family upbringing made Rendel respect intellect deeply but be no respecter of persons – authorities in particular. Though autocratic in some ways, he yet insisted that scientists must have intellectual freedom and adequate resources to pursue their ideas. As we have already noted, Waddington had enormous, indeed unlimited, regard for his own abilities and was delighted to appoint staff who were, as it turned out, better scientists than he, such as Alan Robertson. A man of very broad interests to whom art and travel and the company of congenial intellectuals were hugely important, he never had time to supervise his staff closely, and by appointing those whom he knew and trusted from his wartime work, as well as brilliant young people in related fields, he created a scientific powerhouse in the Institute of Animal Genetics. From him, Rendel learned to appoint the most talented people he could find, to give them very general direction, and to let them work towards success or failure. The results, as might have been predicted, were mixed. Rendel was appointed to head the new Division of Animal Genetics in a golden hour for genetics, for CSIRO, and for the industries that the Division was to serve. His success or otherwise was therefore dependent on his overall vision, and his ability to choose the people who would bring it to fruition. Rendel’s leadership style was based on the principles of the Duke of Wellington – who believed in appointing the best people that he could find, and then not interfering with their decisions – as put into practice by Waddington. As CSIRO grew, its procedures became more formal (some would say bureaucratic), especially in the early seventies, and Rendel had difficulties with the senior management of CSIRO because he refused to tolerate interference or calls to justify his decisions. The Division was disbanded in 1975, with the more traditional areas merged with the Division of Animal Physiology and the molecular and genetics research spun off as a separate unit, later the Division of Molecular Biology. This was unfortunate, and was based at the time on a report by Eric Underwood, who saw a need for geneticists and physiologists to spend more time talking to one another, but who saw no relevance of molecular biology to animal production research. Rendel remained with the newly formed Division of Animal Production, returning to the bench until his retirement in 1980. His outstanding scientific leadership capabilities, however, were no longer used by CSIRO. Upon his retirement from CSIRO in 1980, Rendel briefly took up a visiting professorship at Harvard to collaborate with his old friend Richard Lewontin. Subsequently he and his wife Tresham moved to live in a fine house on a smallholding at Drinkstone Green in Suffolk, England, where he bred Booroola sheep which he had imported from Australia. Australia, however, continued to beckon and seven years later they returned to Sydney and to Wentworth Falls in the Blue Mountains. In this second retirement, Rendel maintained his lifelong interest in thinking and writing about science, and wrote an entertaining and challenging book about the role of common sense in judging science. He died on 4 February 2001 and his influence on genetics and the development of the theory and practice of animal breeding in Australia was profound. In recognition of his outstanding contributions the new tropical beef cattle research laboratory built in Rockhampton at about the time Rendel retired was named the James Rendel Laboratory.